Become an exhibitor at ITM POLSKA! Send an e-mail to itm@grupamtp.pl and we will send you all the necessary information or contact us via the contact form. Remember, the authorization is valid for all trade fairs until further notice. If you participated in other trade fairs organized by MTP, the access code remains the same. STEP 2 - Go into My SERVICES, then SHOP and select the registration fee and area. I am already registered as an exhibitor - what next? Arrange your stand and order technical services (e.g. mains). 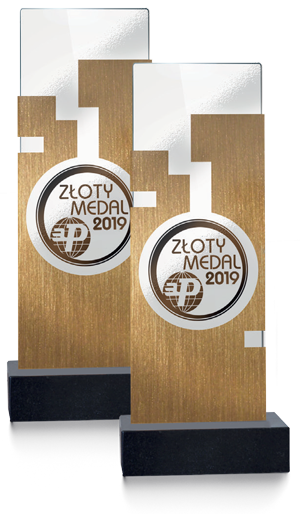 The Gold Medal is not only an award, it is a recommendation of experts for the presented products and a promotion strategy, which starts at events organised by the MTP Group. What matters in the competition is innovation, ingenuity and modernity. Products and services that stand out on the market thanks to their quality, technology and usability values may be entered into the competition. One of the additional possibilities offered to the Exhibitors during the fair is the presentation of the latest products, technologies and services. It is an excellent form to promote and showcase the latest developments on the market and trade fair premieres. New products drive technological progress in each industry, which is why they significantly enrich the trade fair offer. Products presented to professional audience will certainly be appreciated. Premiers are promoted by specially marked stands, which guarantee high recognition among visitors, as well as by information about new products contained in trade fair guides, press materials and on trade fair websites. MTP reserves the right to edit and shorten texts exceeding the permitted number of characters. Please submit each new product in a separate form. A maximum of 5 products can be submitted. 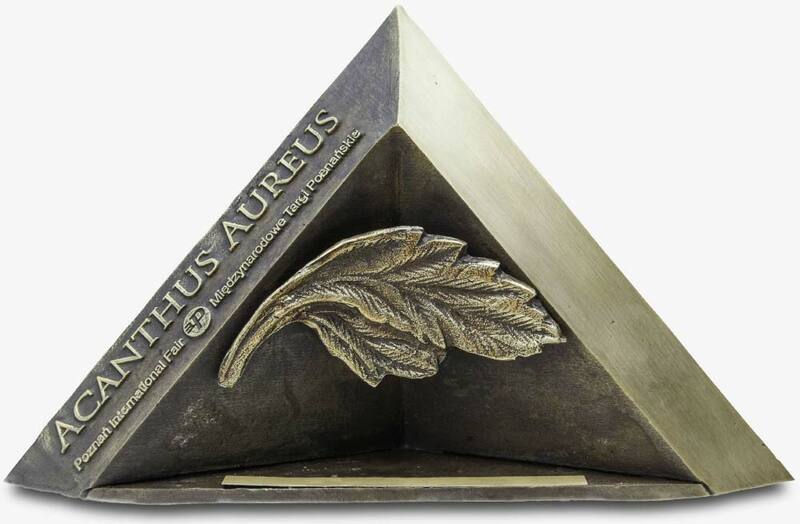 The ACANTHUS AUREUS statuette is an award granted to exhibitors who were able to best illustrate their vision of the stand in combination with the company's marketing strategy.